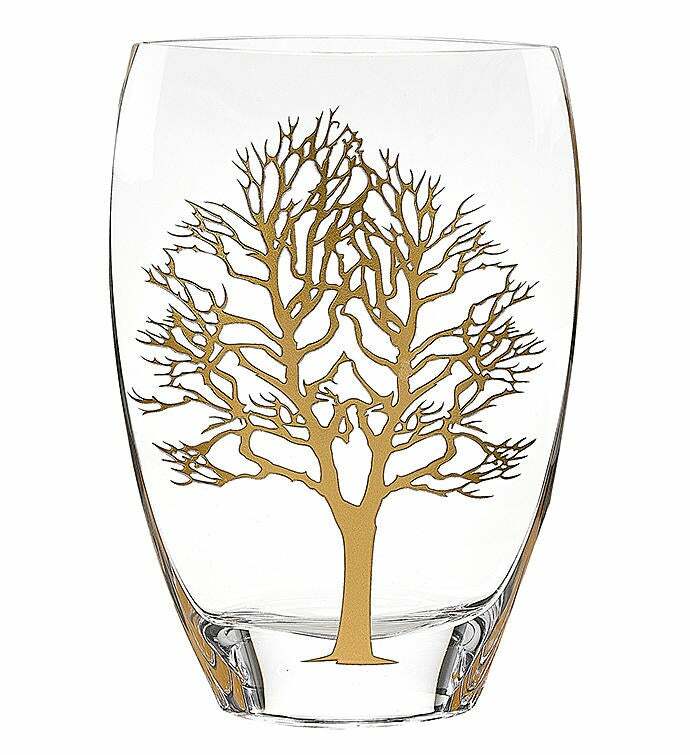 Beautifully blown and handcrafted in Europe, this elegant glass vase is sandblasted exquisitely with gold metallic accents. Standing 12” tall, this piece makes for a lovely addition in your home. 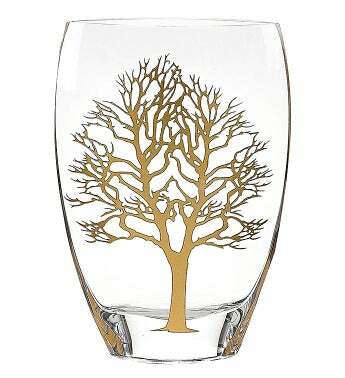 Glass vase with a gold painted metallic accent on trees and sides. Standing 12” tall, has a sandblasted design and European Handcrafted.